Combining the traditional European Brasserie with the the relaxed flair of American eateries, Chef Jeremy Duclut offers American classics with subtle French influences for brunch, lunch, and dinner. Ideal for both quick bites and leisurely meals, Cassis serves simple, hearty food and drinks at affordable prices in a vibrant, friendly atmosphere right on Beach Drive. Brunch isn’t just for Sundays. We offer a robust brunch menu every single day with classic favorites like omelets and pancakes, house specialties like our Brioche French Toast, small bites, hot coffee, and fresh-squeezed juices. Our lunch menu caters to the leisurely diner and the quick business lunch alike. Hearty favorites like our Chipotle Chicken Quesadilla and Blackened Grouper Sandwich complement fresh salads, housemade soups, and shareable plates. 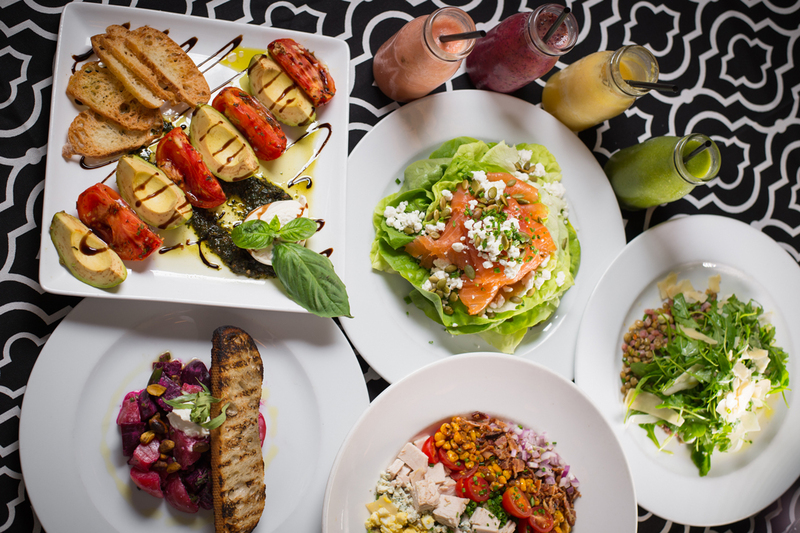 From the Plat du Jour and specialty entrées to amazing appetizers, flatbreads, dinner-sized salads, and vegetarian and gluten-free options, our dinner menu offers something for every palate and price point. Our staff of artisan bakers and pastry chefs uses the finest ingredients to create delicacies as delicious as they are beautiful. The after-dinner menu offers miniature versions of our most popular signature dessert items, all hand-made in-house, as well as macarons, sundaes, sorbet, and a selection of after-dinner drinks and digestifs.